Alice Peisch is the State Representative for the 14th Norfolk District, which currently includes the towns of Wellesley, Weston, and Precinct 4 of Wayland. 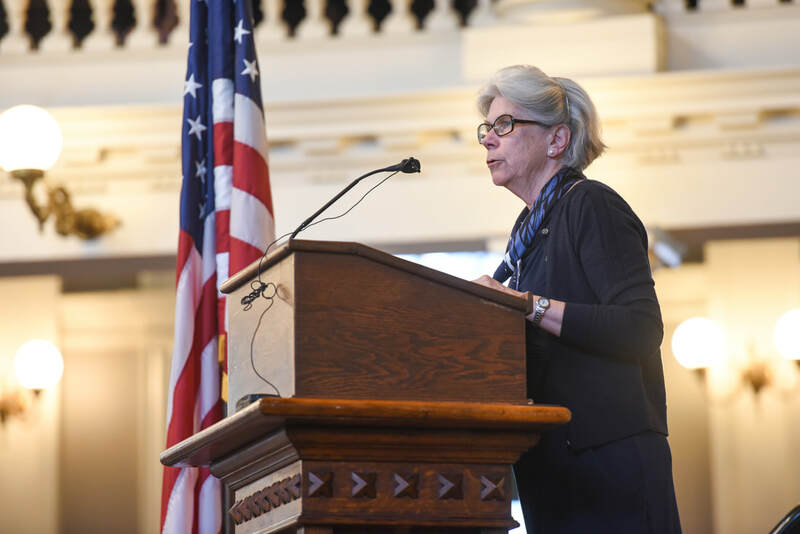 Prior to her service in the legislature, Representative Peisch was active in Wellesley’s municipal government where she a member of the town’s Advisory (Finance) Committee and the School Committee, and was elected Town Clerk from 2000-2003. Representative Peisch was elected to the House of Representatives in 2002 and is currently the House Chair of the Joint Committee on Education, a post she has held since 2011. In her role as Chair, Representative Peisch works on matters relating to education from birth through grade 12. During her tenure, she has tackled a broad range of issues on topics such as special education, charter schools, school discipline, education collaboratives, curriculum, school finance, and virtual schools. In 2016, U.S. Secretary of Education John King appointed Representative Peisch to serve a four-year term on the National Assessment Governing Board, which sets policy for the National Assessment of Educational Progress (NAEP). She also recently completed a term as the Democratic Co-Chair of the National Conference of State Legislature's (NCSL) Standing Committee on Education. Last session, Representative Peisch Co-Chaired the Foundation Budget Review Commission, which was tasked with reviewing the state’s formula for calculating funding for school districts. The Commission submitted a final report containing recommendations for changes to the Foundation Budget in the fall of 2015. She also filed legislation to help expand access to high-quality early education programs across the Commonwealth, a key priority for many Legislators. During the 2013-2014 session, Representative Peisch headed up efforts on legislation that updated the 2010 Anti-Bullying law to ensure additional protections for vulnerable students and to require that schools collect and submit annual data on bullying incidents in order to help policymakers evaluate the effectiveness of anti-bullying efforts across the Commonwealth. During the 2011-2012 session, Representative Peisch spearheaded legislation improving the governance, financial accountability, and state and local oversight of education collaboratives after state investigations revealed misuse of collaborative funds. Her efforts led to the adoption of legislation requiring fingerprint-based national criminal history background checks for all teachers, school employees and early education providers in the Commonwealth. This legislation brought Massachusetts in line with all other states in requiring these employees to undergo a national criminal history record check. For her work on education collaboratives, Representative Peisch received the 2012 Walt Turner Award from the National Association of Educational Service Agencies. In addition to her education-related work, Rep. Peisch remains committed to other issues of concern to all residents of the Commonwealth. She was the lead sponsor of legislation passed in 2012 that is intended to reduce the number of deaths due to drug overdoses by ensuring limited liability to overdose victims or those in their presence if emergency medical services are contacted. In 2014, Rep. Peisch worked to include language within the legislature’s domestic violence omnibus bill that ensures confidentiality of victims’ identities. Furthermore, she remains a tireless advocate within the legislature to push for better service throughout the commuter rail system, understanding the need for the state to provide reliable transportation to those living and working in the Greater Boston region.